By mental Illness we are referring to the various kinds of psychosis including, but not necessarily confined to schizophrenia, Manic depressive Psychosis, bi-polar disorder, psychotic depression, Obsessive Compulsive disorder (OCD), delusions, hallucinations. Epilepsy may also be improved by the suggested remedies listed in this article. This article will suggest that the above conditions can be understood in terms of oxidative distress , inflammation, infection (Often including parasitic infection, fungal infection and viral infection), toxicity (Heavy metals, and other neurotoxins such as aspartamine, pesticides) All these issues often are present together in varying degrees and in turn will promote auto-immune reactions in the brain. In turn, as is the case with other more well recognised auto-immune disorders, food intolerances can combine to 'overcharge' and already hyped up immune system where the bodies immune response is actually attacking the distressed areas of the body, in this case the brain to produce further inflammation and oxidative stress. When I was 22 years old I worked in a psychiatric hospital for 18 months as a psychiatric nurse. We were taught at the nurses school that mental Illness was probably biochemical, but I questioned this and tended to go along with the idea that most mental illness was due to some kind of personality disorder and psychological problems that caused the actual sickness as expounded by writers such as R.D Lang. Now 40 years later I have largely reversed my understanding of mental illness based on the successes of physical based 'treatments'. The first clue I came across was from Dr. William Phillpot. He worked with food intolerances and also magnetic field therapy. He gave examples of completely psychotic patients who were 'cured' in a week by stopping one food item that they had an intolerance to. He also brought some people out of psychosis with the use of the calming pole of the magnetic field he refers to as negative magnetic energy. Personally I believe that eliminating the causes as detailed in this article, is a more through and permanent approach. He has published a number of books one of these relevant to mental illness is Brain Allergies: The Psychonutrient and Magnetic Connections, 2nd Ed. (Keats Publishing L.A., CA 2000). A well known Professor in Portugal - Serge Jurasunas, who has a successful natural health clinic, has used Zell Oxygen for over twenty years to treat chronically ill patients with much success; these include Cancer, (please also see the article Cancer: Helping to Win The Battlewith Nutritional Therapy), CFS, Depression, Schizophrenia and other forms of psychosis. How this is accomplished we cannot be certain but we do know that the nutrient combination contained in the product called zell Oxygen contains a full range of B vitamins, and respiratory enzymes (Support ATP cycle for cell oxygenation and energy) The brain requires more oxygen than any other part of the body, so a chronic lack of cellular oxygen to the brain due to mitochondrial impairment can conceivably play a part in mental illness. Also low oxygen status of the cells encourages the proliferation of infections. It is research like this that has led Johns Hopkins virologist Robert Yolken and psychiatry professor and former special assistant to the Director of the National Institute for Mental Health Dr. E. Fuller Torrey to believe that toxoplasmosis is one of several infectious agents that causes most cases of schizophrenia and bipolar disorder. The idea is not new. In fact, as far back as 1922 the famous psychiatrist Karl Menninger hypothesized that schizophrenia was "in most instances the byproduct of viral encephalitis." Torrey notes that in the late nineteenth century schizophrenia and bipolar disorder went from being rare diseases to relatively common ones at the same time that cat ownership became popular. Yolken designed a retrospective study of twenty-five hundred families showing that mothers of children who later developed psychoses were 4.5 times more likely to have antibodies to toxoplasmosis than the mothers of healthy controls. Due to the frequency of cat ownership, a large percentage of the US population (up to 50%) has been exposed to toxoplasmosis but most immunocompetent carriers remain asymptomatic until another immunological burden such as chronic viral infection or a separate parasite weakens the host defenses and precipitates pathogenic expression. (Patients previously diagnosed with "Chronic Candidiasis" often find that Candida was merely a cofactor or consequence of more significant infections and infestations which created obstacles to long-term cure.) "Mental" symptoms often improve dramatically when hidden neuro-immune infections are treated successfully and normal brain metabolism resumes, especially in "sudden-onset" syndromes. After identifying and treating the primary infections we focus on rebuilding the host's immunological defenses and mucosal integrity to prevent relapse"
Note: There are a few remedy options suggested in the above Eliminating Infections article. For mental Illness we suggest to use Olive leaf - for eliminating Candida in the gut and colloidal silver for eliminating all types of infections elsewhere in the body including the brain. 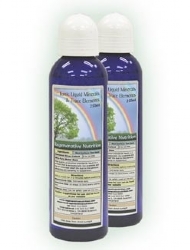 It is suggested to use colloidal silver before using Iodine. (If in fact you want to use the Iodine protocol at some point in time, after learning of its potential benefits in the treatment of hyperactivity ADD, and in fact for general metabolic health as well as eliminating infections at the correct dose) The reason for suggesting colloidal silver first is because it is calming on the immune and nervous systems and has potential healing effects. On the other hand Iodine, will initially be highly stimulating and may cause an aggravation of mental conditions until adapted to, which could take weeks. If you have significant infections of a chronic nature after a few days of regular colloidal silver and olive leaf use there will be a die off reaction of the resident infection(s). This will cause effects like headache, possible nausea, aching in places and often flu like symptoms, and sometimes even a fever. These symptoms should be welcomed as they indicate that the first stage of the battle against your chronic health problems is being won. The simultaneous use of zell Oxygen or even better Zell-Immunocomplex will tend to shorten and reduce the die off symptoms via its nutrient help of the immune and detoxification systems. 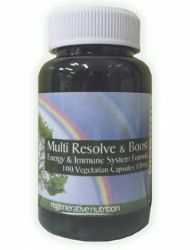 The use of conventional anti-biotics at such a time may be self defeating as if the anti-biotic is not specific to the known or unknown infections you have, it will merely destroy beneficial bacteria and cause immune suppression, so symptoms of detox and immune response will reduce or stop, but your long term health issues will not be dealt with. 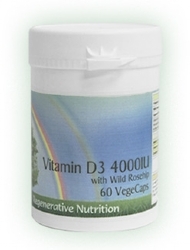 The use of vitamin D at the correct dose in restoring immunity is often paramount. High-dose sublingual vitamin B12 has been found in many cases to help relieve Alzheimer's disease, Multiple Sclerosis, Bipolar disorder (especially depression), Psychotic depression, violent behavior, Paranoid psychoses, asthma, allergies, low immunity, chronic fatigue, poor memory. B12 in the form of Methylcolbalamin is non-toxic and crosses the blood-brain barrier and is therefore especially beneficial in brain and neurological disorders. It is available as a sublingual (dissolves in the mouth) tablet so it does not have to be injected - as B12 cannot be reliably absorbed by the stomach. *Psychotic depression has been particularly associated with B12 deficiency. (22) As I'll discuss later, success of B12 therapy against depression in its various forms is "probable." * Paranoid psychoses This nutritional deficit has also been linked to paranoid psychoses, characterized by over-suspiciousness and delusions. Extracts above from the article High-dose vitamin B12 for at-home prevention and reversal of Alzheimer's disease and other diseases. and the article Health hazards of heavy metals. One may ask why there can be so many different contenders for the cause and therefore the relief of mental illness and other health disorders? The answer is that there is a relationship between all these 'causes'. Heavy metal exposure such as via immunisations, amalgam fillings , also neuro -toxins such as pesticides, can pre-dispose the person to infections as these types of toxins interfere with the defenses of the cells and immune system. Vitamin B12 has some protective role to the brain cells and is an essential nutrient for their proper functioning. Deficiency of B12 can therefore amplify the effects of toxins and infections within the brain. Since Vitamin B12 deficiency is quite common, as detailed in the B12 article, it is quite likely that the majority of cases of mental illness have the co-factors of heavy metal toxicity, B12 deficiency and chronic infection of some kind. In this situation an auto-immune syndrome can and probably does usually occur resulting in inflammation and further free-radical stress to the effected brain. By eliminating mitochondrial insufficiency the immune system is improved, and combining this with remedies to eliminate infections, and heavy metal toxicity the immune response will settle down and the optimum chance of a permanent solution to the patient is available, provided that the treatment protocol is kept up sufficiently to prevent re-infection or re-infestation. 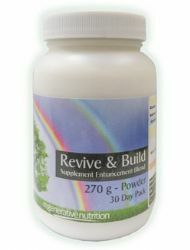 Maintaining the health of the nervous system with an adequate supply of B vitamins, minerals and trace elements will further support the nervous system recovery and health. Nutritional supplements such as Zell-Oxygen or the more nutrient rich Immunocomplex provide a broad spectrum of nutrients and B vitamins as discussed earlier. The mineral Magnesium is widely recognised as being of tremendous importance for the functioning of the nervous system and indeed body in general, however what is not widely appreciated is the need for full spectrum unrefined salt. A nutritional supplement such as Magsea Ionics supplies both plentiful quantities of magnesium along with full spectrum unrefined salts. 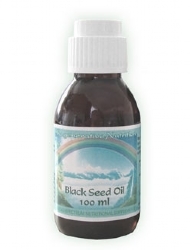 Alternatively if you can obtain hemp oil from your local shops, this is highly recommended as being a well balanced oil with a balance of omega 3, 6, 9. The supplements recommended for the treatment of Mental Illness are listed below. Not all will necessarily be discussed in the article, as some may have been added after the article was posted. If a listed supplement is not mentioned within the article, or you wish to know more about any of the listed supplements, you can find out more information by clicking on that supplement below. You can also now add to your basket directly from this page.